ALBANY, New York, March 11, 2017 (ENS) – To promote electric vehicle use across New York State, Governor Andrew Cuomo has announced a new campaign that includes the installation of charging stations, incentives for employers to encourage employees to drive electric vehicles and extensive public education and outreach. Transportation is the largest contributor to greenhouse gas emissions in New York State, accounting for nearly 40 percent of heat-trapping emissions. The increased use of electric vehicles will help the state in achieving its goal of reducing greenhouse gas emissions 40 percent by 2030, the governor said. Work on the projects will start immediately and will include the installation of 450 charging stations across the state. Of these, 150 will be located at workplaces throughout New York, supporting Governor Cuomo’s State of the State proposal for the construction of 500 new workplace charging stations. The units will be installed in Rochester, Syracuse, Buffalo, Utica, Albany, the Hudson Valley, Westchester County, New York City and Long Island. The campaign supports the Governor’s Charge NY initiative. More than 1,600 electric vehicle charging stations have already been installed toward Charge NY’s goal of 3,000 charging stations by 2018. The new effort will be overseen by the New York State Energy Research and Development Authority, NYSERDA. * – Developing tourism routes for electric vehicle owners that will highlight charging station locations in the Mid-Hudson Valley, including in the Catskill Mountains, already a tourist destination. The city of Rochester, in Upstate New York, will launch a pilot program to become an electric vehicle model city. The goal is to demonstrate how developing an electric vehicle ecosystem can increase electric vehicle adoption and prepare a community for long-term electric vehicle growth. The city will add electric vehicles to the city fleet, install charging stations, create a speaker’s bureau for community events and enable training for local car dealerships. All these projects will be managed by three contractors – EV Connect, Energetics and Calstart – for a total of $4.8 million. The campaign continues Governor Cuomo’s support for growing the number of electric vehicles in New York State. Last fall, Cuomo announced $3 million for rebates through the Environmental Protection Fund for municipalities to purchase or lease zero-emission vehicles, such as battery electric and hydrogen vehicles, for their fleets. The governor has also announced the availability of another $3 million to help eligible municipalities and rural electricity cooperatives purchase electric vehicles for use in their municipal use fleets. By no means are all states that once supported electric cars with financial incentives continuing to do so now. In an overview Saturday, the “New York Times” documented many states that have withdrawn their support for electric cars. Georgia repealed its $5,000 tax credit on electric vehicles in July 2015, and place a $200 registration fee on electric cars. EV sales went from nearly 1,300 electric vehicles to just 97 cars in a matter of months. In Colorado, a bill that would end income tax credits for owners of electric and alternative-fuel vehicles is working its way through the legislature. 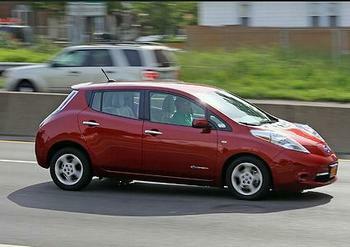 In Utah, lawmakers voted this month against extending the state’s tax credit for electric cars. Illinois, Pennsylvania and Tennessee, have let their EV incentives expire, bringing down to 16 from 25 the number of states that offer financial support for buyers of electric vehicles. Since the start of 2017, the nonprofit EV advocacy group Plug in America has been alerted to a number of bills in states that would impose road usage fees for EVs. At a time when EVs are starting to gain more traction among all consumers, and more states are considering supportive policies such as purchase incentives, car pool stickers, and charging station rebates to increase adoption, it is frustrating to EV advocates to have to address road blocks like fees. Legislators in Oklahoma are looking at fees of at least $100 a year. The California Assembly is considering a $165 yearly car registration fee on zero-emissions vehicles. 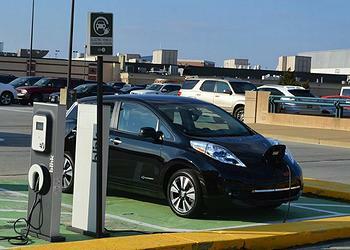 In Indiana, a bill that would establish a $150 annual fee for EV owners was introduced in January. A similar bill has been presented in Kansas, and Montana is debating a $300 fee.